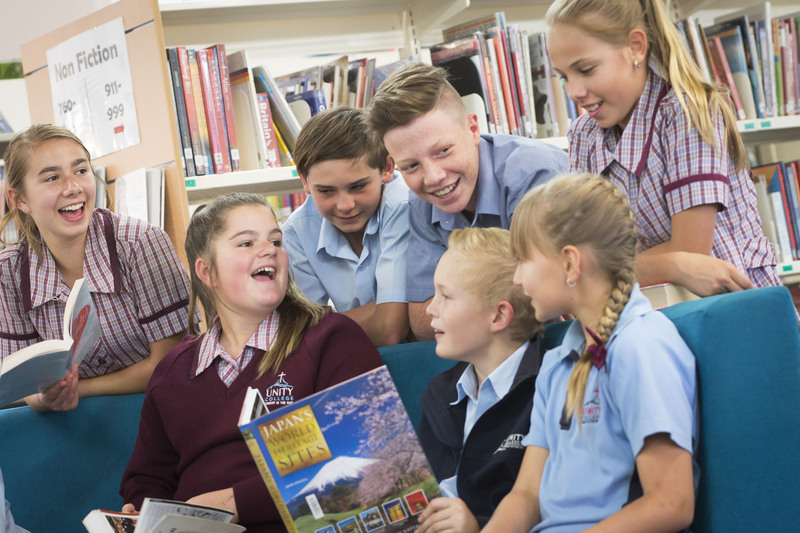 These sub schools provide a seamless pathway for each child's educational journey. Modern facilities, a comprehensive range of subjects and innovative approaches to learning encourage students to strive for their personal best and high academic achievement. Students being able to develop a sense of confidence and familiarity at their school. A smooth transition from one sub school to the next. A community environment where positive relationships are nurtured along the the way. Families are able to enjoy the 'simplicity' of working with just one school. Students across sub schools benefit from the opportunity to share resources and interact with different age groups as part of the curriculum. Unity provides a technology rich environment where digital technology is used to support learning and our dedicated and professional staff work collaboratively to maximise the potential of every student.